If you have upgraded to OS X Lion on your Mac and have been a Google Chrome user, then you will probably have found out that Google’s Chrome browser doesn’t run as well on Lion as it did on Snow Leopard. Google is working on a new version of their Chrome browser for OS X lion, and Google’s SVP of Chrome, Sundar Pichai, has been taking to the guys over at Tech Crunch, about the companies plans for Chrome on Lion. The scrollbar should get fixed in canary tomorrow if not tonight. Will disappear till you start scrolling. Fullscreen needs more work and we will add it to the list and get it fixed but will take some more time. In general, we care abt a great native experience on every platform and so the team is pushing hard to get a great stable version for Lion. Google’s Chrome already has a full screen interface, although it doesn’t work in the same way as Safari does on Lion, so Google are going to implement a proper full screen interface for Chrome on Lion. 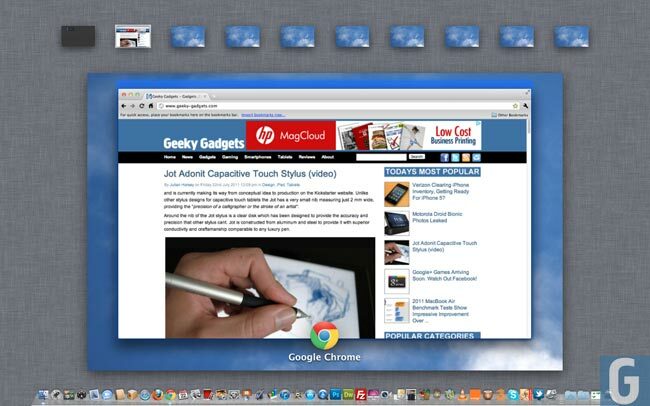 There are no details as yet on when the optimized version of Google Chrome will be available for OS X Lion.